481-760 Ferris Coffee & Nut Co.
Sweet, salty and oh so berry delicious. 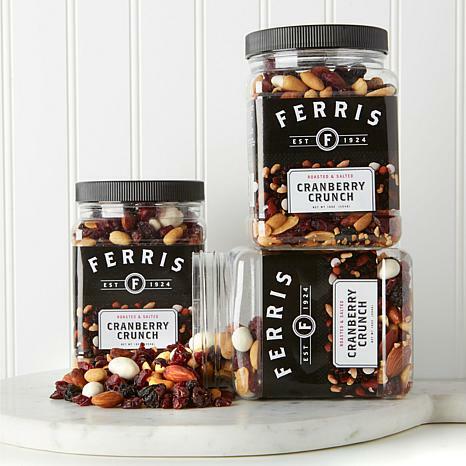 Dig in to this delectably crunchy treat that's perfect for any afternoon snack or evening soiree. We're sure you'll swoon over the hearty mix of flavors. Contains or may contain peanuts, treenuts, almonds, soy, milk, egg and wheat. Unopened shelf life of approx 6 months. Ingredients: Cranberries (sugar, sunflower oil), peanuts, almonds, raisins (vegetable oil added), yogurt raisins (yogurt coating (sugar, palm kernel oil and palm oil, reduced mineral whey protein, whole milk powder, titanium dioxide, yogurt powder (cultured whey and non-fat milk), soy lecithin (an emulsifier), salt, vanilla), raisins, gum Arabic, corn syrup, sugar and certified confectioners glaze (food grade lac resin)). I love this product. 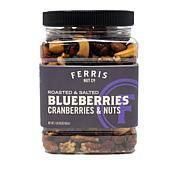 The nuts, raisins and cranberries very fresh. Product not to salty. 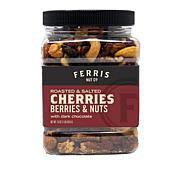 I gave a jar of this to a friend in his Christmas basket and he loved it so much that he asked me to "please" order a full order for me and I will happily repay you. That is the response that I get every time that I give this as a gift. My husband and I enjoyed eating the Cranberry Crunch. It was nice and fresh. The pieces were large and the nuts were crunchy. I will order again. This product is one of the best I have had. 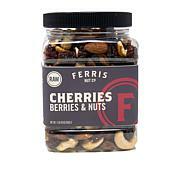 The fruits and nuts are fresh, moist and really good, especially when it is all put together. It's a great snack! I will purchase it again! I could not stop snacking on these and the good part is it was all natural and healthy. Though I didnt eat the yogurt it was too sweet and of course it is not natural.